1. 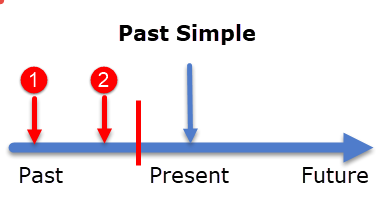 We often use the Past Perfect Simple together with the Past Simple. 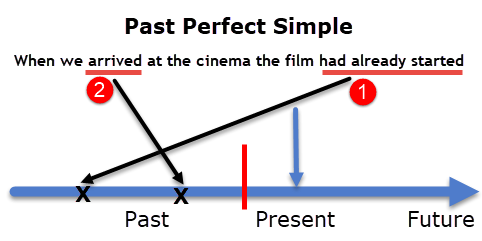 The action which was completed before the other action began is put into Past Perfect Simple. The film started (1) we arrived (2) at the cinema. The actions in the sentence are in the order they happened. But if we change the chronological order of events in the sentence, then we have to use the past perfect.